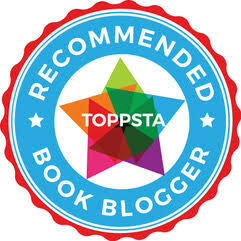 Children's irrational fear of the dark, and comforting books about how to allay those fears are as popular as ever, and in our time on this blog we've seen quite a few. But there's always room for another truly beautiful one, so step forward Marie Voigt's utterly gorgeous "The Light in the Night". The story introduces Betty, a little girl who loves her night-time stories, especially the one about Cosmo the bear. Cosmo isn't just an ordinary bear. Cosmo is afraid of the dark! One night something magical happens, and Cosmo comes to life - the start of a magical adventure giving Betty the perfect opportunity to help Cosmo overcome his fears and show him the beauty of the night. Taking a lantern in one hand and Cosmo’s paw in the other, Betty and Cosmo embark on a truly amazing and magical adventure that's perfect as a snuggle-down bedtime read. Gorgeously illustrated, lilting and soothing, it's a fab snoozy read with a great little message. Sum this book up in one sentence: Dreamy, magical and beautiful storytelling helping kids over their fear of the dark. 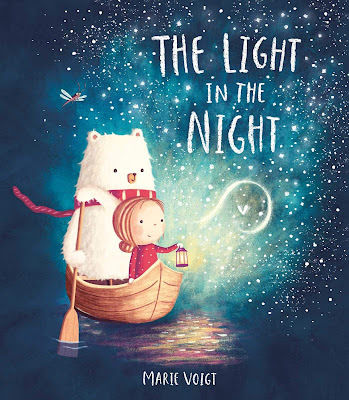 "The Light in the Night" by Marie Voigt is out now, published by Simon and Schuster Children's Books (kindly supplied for review).